Does adjusting idle RPM on 912 require carbs rebalancing afterwards ? I'd say if you were careful to turn both idle screws exactly the same amount, you might get away without a balance. I wouldn't worry about it "in the field". But it would probably be wise to take the time and balance them anyway when able. 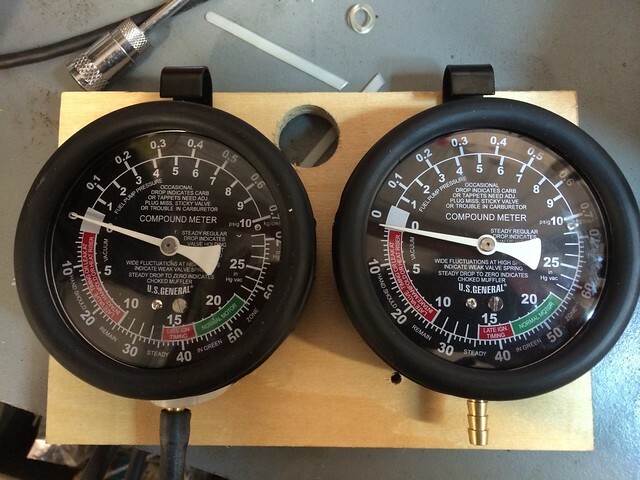 You must use a gauge at idle to. One carb will ALWAYS influence the sync more than the other. Turning both equally just makes them even more unbalanced. If you've ever synced a carb and did a mechanical sync did you not have to adjust one carb over the other during the pneumatic sync. The answer is yes. This only takes a few minutes and it needs to be done. 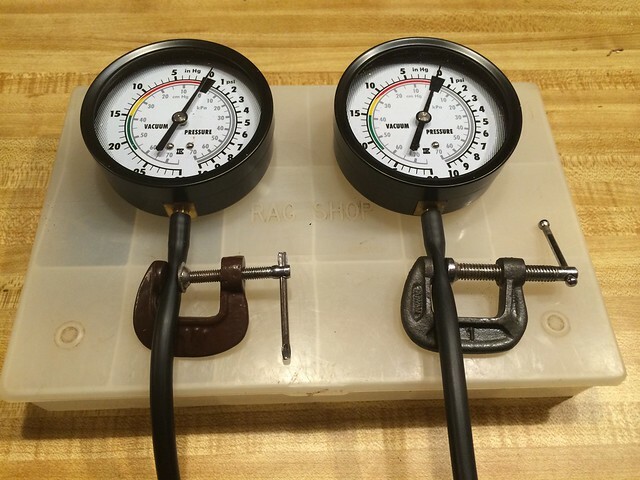 If you don't use a set of gauges how will you know which carb screw to turn? Which one needs more influencing than the other? Put a set of gauges on. roger lee wrote: You must use a gauge at idle to. One carb will ALWAYS influence the sync more than the other. Turning both equally just makes them even more unbalanced. If you've ever synced a carb and did a mechanical sync did you not have to adjust one carb over the other during the pneumatic sync. The answer is yes. This only takes a few minutes and it needs to be done. Roger,there are tons of gauges out there. The set that Lockwood sells, does not have a stellar reputation. Could you recommend some with good quality, that is appropriate for our use? Easy to just make your own. Buy two 2 1/4" vacuum gauges from Amazon or someone like that. Make sure the dials are easy to read. The less clutter the better. Most go from 0 - 30 in/ vac. Get a piece of fiberboard about 6" 10". Go to Ace Aviation (Ace Hardware) and buy two 4' pieces of vacuum hose. Do not use the poly tubing for the vacuum hose as it looks in the picture. Buy two small brass needle valves. Now buy 2 barbed fittings that go on the vacuum gauges. The cut the vacuum hose down around 5" from the bottom of the vacuum hose. Put the needle valves in here with two male barbed fittings. Now at the very end of the hose get a couple more barbed fittings that go into the end of the vacuum hose and then on those ends get some more barbed fittings. One needs to be male to go into the end of the carb balance tube rubber hose and the other gauge hose needs a piece of 3/8" poly plastic hose to go over the metal 90 degree that the cross over hose came off of on top of the intake manifold. Your done. Cost will be close to $80 and it should last your lifetime. Some of you longer than others. I've been using one from Lockwood since 2008 with no issues. It looks kind of like what Roger posted, but more professional looking. The C-clamps did work, but got replaced with brass needle valves, from an aquarium I think. "Rog-O-Mate" - that cracked me up. Is that trade-marked? SUPER easy to use and very accurate. Should also work on any carbureted multi-cylinder engine? Glad it made someone smile.